The legal team at Joe Horrox Law has helped countless patients in and around the greater Daytona Beach area deal with legal claims against negligent property owners and business owners. Premises liability lawsuits hold negligent property owners accountable for injuries that were sustained as a result of negligence. We receive a number of questions from clients and potential clients about legal settlements and what those involve. Let's take a moment to go over the basics right now. What is a legal settlement? A legal settlement refers to a resolution that is reached in a legal case before the an actual court action begins. This means that the case does not actually proceed to the trial phase and is concluded. Are settlements preferable to the entire litigation process in court? In a number of ways, settlements are preferable to actually progressing to the trial phase since the resolution of matters ends sooner and typically costs less since legal fees are much lower. Rather than drag out the legal process, it is often much more advantageous for the defendant to settle, particularly if there is a compelling case against them that demonstrates negligence and/or fault. For slip and fall accidents, a property owner or business may find it advantageous to settle a legal claim rather than face potential bad press from a trial. This is particularly true if the outcome of the trial paints the business or establishment in a negative light. When it comes to damages in a slip and fall accident or any kind of injury case, there are two types of damages that are typically sought: compensatory damages and punitive damages. Compensatory Damages - Compensatory damages are intended to cover actual material losses that occurred as a result of an accident, such as medical bills and treatment, lost wages, and loss of future earnings due to long-term disability and impairment. Punitive Damages - Punitive damages are intended to punish the negligent party, going above and beyond compensatory damages given the nature of the accident/incident. The amount of the settlement will be determined by assessing the amount of compensatory damages and punitive damages. Compensatory damages are typically determined by adding the total cost of medical treatment, lost wages, and estimated lost wages. Given that there are actual or estimated losses to be taken into account, compensatory damages are comparatively easy to determine. Punitive damages can be harder to determine since the value of the damages are not tied to an actual material loss. 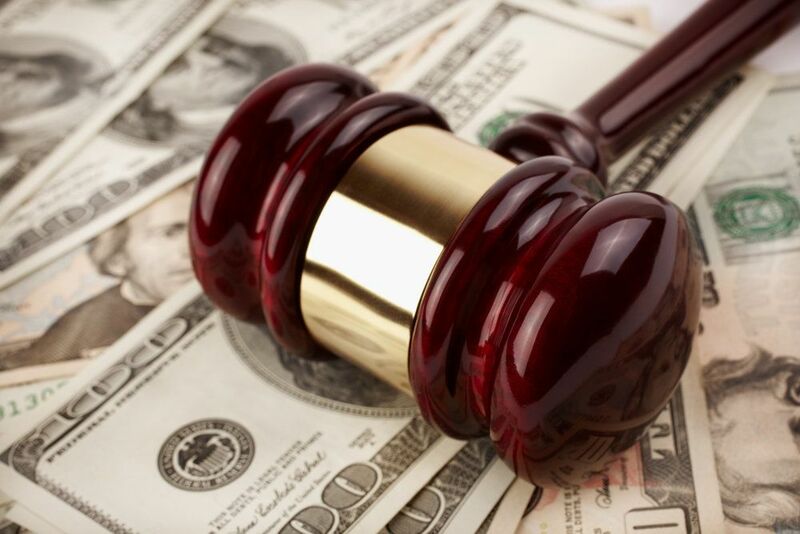 In these cases, it's common to look at similar kinds of cases as a means of determining a fair amount of punitive damages to seek. Injuries of all kinds can have a major impact on you and your loved ones, which is why our attorneys fight diligently for all of our clients. When seeking a settlement in a slip and fall case, we will be sure that any damages that are sought are fair given the circumstances of the injury and that you understand all of your legal options. For more information about your legal options following a major slip and fall accident, it's important that you contact our personal injury law firm today. At Joe Horrox Law, we will fight diligently for you and your legal rights.